Abarth is a manufacturer known for sport, tuning and performance. In fact, speed and power are ingrained in Abarth's DNA, and with its skills in redeveloping ordinary city cars and transforming them into thoroughbred motors, the automaker has created something truly unique. 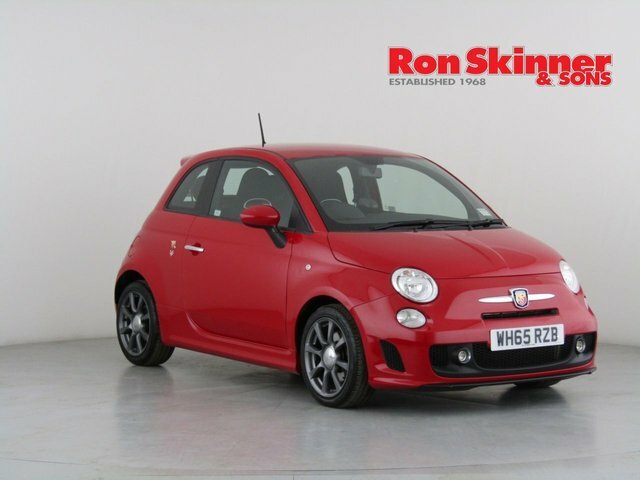 Based in Wales, Ron Skinner & Sons stocks hundreds of used vehicles in pristine condition from some of the UK's leading automakers, like Abarth. If you are interested in getting fair and affordable finance on a quality second-hand Abarth car, get in touch with Ron Skinner & Sons now! Our team works alongside experts, Smile Car Finance to ensure you get an unbeatable deal on your next car.